Situated in Ursa Major. 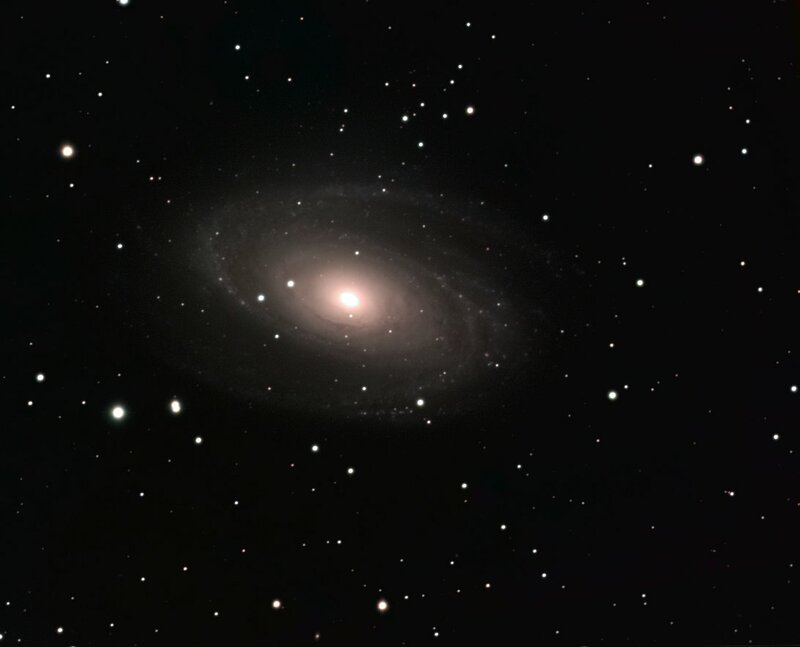 M81 is actually a large spiral galaxy and not a nebula as first documented by Bode in 1774. Post-processing stacked, ddp, unsharp masking, 8 iterations of maximum entropy, gradientXterminated and layered in PS.